Golf is one of the well preferred and popular sports in the world, and Malaysia is one of these places where having a round of golf is so easy. 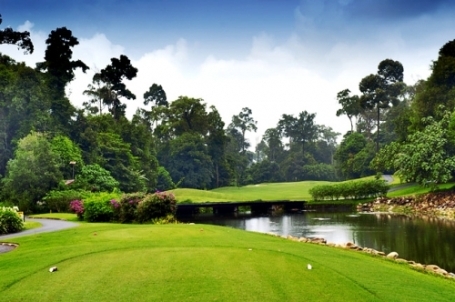 Golfing in Malaysia will give you a totally unique experience where you will get the chance to play golf amidst lush tropical rainforest, with tranquil ocean just within close proximity or at the highlands area. With hundreds of golf clubs and golf resorts across the country, by joining a golf tour in Malaysia will sure leave you with unforgettable golfing experience. One of the best places for golfing in Malaysia is probably in and around Kuala Lumpur area, with its easy access in and out of the city, avid golfers not only able to enjoy having a round of golf in the bustling city, but also able to enjoy golf in the more tranquil nearby cities. Having the fact that there are plenty of golf courses in the city area, the green fees for these courses are normally reasonably priced. Not only allow you to enjoy the fun of city golfing, if you are having a golf tour with your family, they will also enjoy staying in the city with diversified of attractions, foods and shopping opportunities. If you prefer to play golf in a cool climate, Genting Highlands is the best place to go. The 18 holes championship golf course located at about 3100 feet above sea level homes to not only a golf course surrounded by scenic mountains view, the onsite golf resort is also fantastic. Another destination to head for highland golfing is the Cameron Highlands. This 18 holes course is located in a valley at about 5000 feet above sea level, surrounded by tree covered mountains, the course offers a magnificent forest views to the golfers. Tioman Island is one of the best destinations for golfing if you prefer having holiday on island. The Berjaya Tioman Resort features an excellent 18 holes golf course that offers an amazing South China Sea view as well as magnificent a backdrop of lush tropical rainforests. Langkawi Island on the other hand is an alternate option to island golfing. The island homes to 3 golf courses in which golfers can enjoy the panoramic view of the Andaman Sea as well as the beautiful view of the surrounded rainforest. Whichever place you choose for your golf holiday, it is always perfect that you choose one that everyone can enjoy, especially if you are traveling in group or with your family. If your entire tour is all about golfing, then choose a destination that offers best golfing experience. If you are visiting Malaysia for family vacation, then choose a place where your family can hang out while you enjoy your golf session. With diversified of golf resorts and golf tours to choose from, this should explains why Malaysia is one of the most preferred golf holiday destinations in the world.